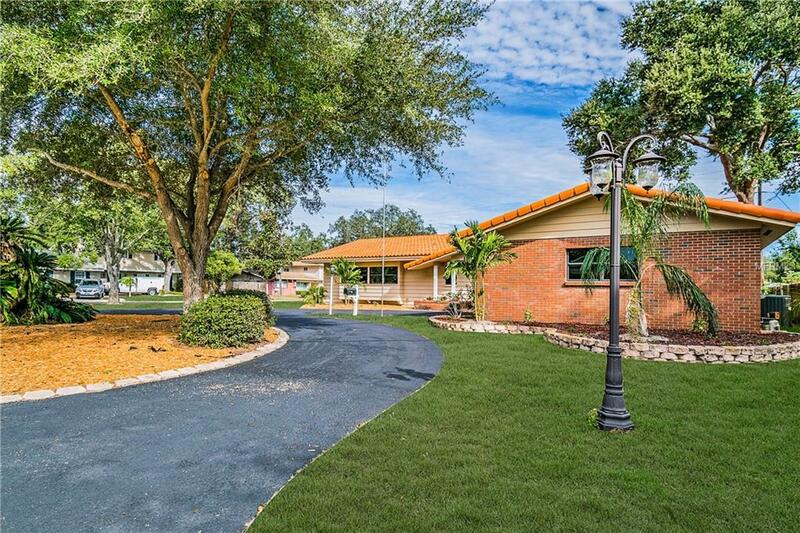 Tastefully updated 2218 SF, 3 Bedroom, 2 Bath, 2 car Garage home on a Corner lot with a circular drive in the Plumb Elementary, Oak Grove Middle & Clearwater High School Districts! This home has an open floor plan with nice sized living room, family/bonus room & dining room opening onto a large screened patio. The open flow of this home is great for entertaining and the home is sunny & bright with lots of windows! The kitchen has white wood cabinets with easy close drawers, stainless steel appliances, granite countertops, stone backsplash, closet pantry & a breakfast nook. There is a FABULOUS MASTER SUITE that is the perfect place to unwind after a long day with a DREAM SIZE 7 x 15 WALK-IN CLOSET, a large 2nd closet & a dressing area with a nook for a vanity!!! The LUXURIOUS MASTER BATH has a GARDEN TUB, SEPERATE SHOWER with glass tile accents and a DUAL VANITY! The 2nd & 3rd bedrooms have nice custom built-in dressers & there are also custom built-in shelfing in the hallway. The home has wood laminate flooring(water resistant to 24 hours) throughout the family room, kitchen, hallway & bedrooms, high baseboards, a newer tile roof, and an INSIDE LAUNDRY ROOM!! It is centrally located in Clearwater just blocks to shopping, has easy access to 19 & the Courtney Campbell Causeway and is a short drive to the beach!!!! Buyer to verify all measurements. (ONE OR MORE PHOTOS HAVE BEEN VIRTUALLY STAGED) Call today to schedule your private showing!!!! Listing provided courtesy of Real Estate Review Inc.